Dr. West graduated from Harvard Medical School and studying on a Fulbright Scholarship, he received a degree in Experimental Biology from Cambridge University in the United Kingdom. Dr. Howard West studied as an intern and resident at Brigham and Women’s Hospital Boston affiliated to Harvard University. 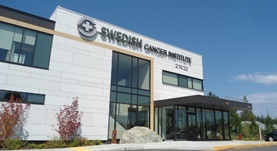 Since 2002 Dr. West has been practicing at the Swedish Cancer Institute with a specialty in lung cancer. He completed his specialty training in mesothelioma at the University of Washington Fred Hutchinson Cancer Research Center. Practicing at one of the country’s most respected cancer research institutes, Dr. West has helped develop very efficient treatment methods for lung cancer. Dr. Howard J. West has contributed to 4 publications. Stewart DJ1, Martin-Ucar AE, Edwards JG, West K, Waller DA. Green, MR.West H, & Socinski, MA. Impact of the ASCO 2007 . J Thor Oncol 2009; 4: 983-987. Histologic considerations for individualized systemic therapy approaches for the management of non-small cell lung cancer.